With London 2012 in full swing, here are five top Olympians performing for Christ in the World’s premier sporting event. London- born Ohuruogu nearly repeated her Beijing heroics when she finished in second place in the Women’s 400m. 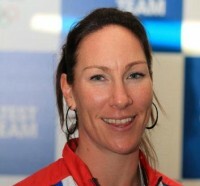 The first British woman to win a 400m gold, her career has been one of dramatic highs and lows: Gold at the 2006 Commonwealth Games, then a one year ban for missing three drug tests (a ban which was later overturned on appeal); then Gold at the 2007 World Championships and 2008 Olympics. One of eight children, born to Nigerian parents, she was raised in a Christian home and from a young age embraced the faith of her parents, a faith which she says sustained her during the dark days in her career. The Jamaican- born former ‘World Athlete of the Year’ who is married to NFL star Aaron Ross, has had a memorable games- striking Gold in the 400m, making up for the bitter disappointment she suffered in Beijing in 2008 when food poisoning and a hamstring strain saw her only pick up a bronze, despite being a favourite for Gold. Despite being such a star, the current World indoor 400m champion as well as a former World Champion, who picked up 4x400 Relay Gold in 2004 and 2008, she remains humble. A woman of faith, she says that her talent is a gift from God and that the way she uses this talent is her gift to him. Holding Phillipians 4:vs 13 as her life verse, she says that it is God who gives her the strength to accomplish these things. Former 100m World Record holder Powell (who has gone under 10 seconds more than any other man in history-73 times), World Champion, Commonwealth champion, and Olympic 4x100 relay Gold Medallist, Powell has just competed in his third straight Olympics. After reaching his 3rd Olympic finals, he pulled up with an injury near the end of the race, and finished in last place. Along with Usain Bolt and Yohan Blake, the 29 year-old is a part of Jamaica’s ‘Golden generation’ of sprinters. The son of two pastors, who occasionally plays guitar in his Church band, Powell’s faith is fundamental to him, sustaining him during the painful losses of his two brothers: Michael, shot dead in a New York taxi in 2001, and brother, Donovan a top class sprinter who died of a heart attack the following year. 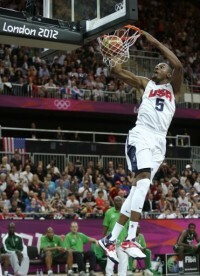 One of the NBA’S biggest stars, Durant and the rest of the US basketball team are overwhelming favourites to win Gold at London 2012. The 23 year-old Oklahoma Thunders small forward, NBA rookie of the year in 2008, a 2011 World Champion, and a 3 time NBA All Star, who was the highest scorer in this years’ NBA, is known for his off the court humility- a trait which comes from his strong Christian faith. Constantly being compared to legends such as Kobe Bryan and Lebron James, the 6¨9 star refuses to accept that he is as good as his illustrious team mates. But while he refuses to admit that he ranks alongside such legends, he admits that he is on a special mission: to become a better Christian. The 32 year- old rower’s CV makes impressive reading: 2 Olympic Silvers and 3 World Championship Golds, and although she and her teammates failed to strike Gold in the Women’s Quad (they reached the final), the Harrogate-born star can be justifiably proud of her achievements. Giving her life to Christ as a Teenager, being a part of God’s team is more important to her than any of her sporting achievements. Now retired, she plans to pursue a career as a prison officer, working in a young offenders home. Don't forget America's Gabby Douglass. How about 2 times Olympic gold winning swimmer Ranomi Kromowidjojo from the Netherlands? and all the Orthodox Christians from the states of the former Soviet Union, and the Balkans, and the Copts and the Ethiopians, oh yes and the Catholics. Or do none of them count? I think you misunderstand Greg. There are many nominal Christians - yes, including GO, Copts, Ethiopians and Catholics - who nevertheless would not call themselves committed believers and followers of Christ. The people mentioned above have done that - and doubtless there are more who have not declared, but that is between them and God.